Spring weather has finally arrived here in Charlotte! I hope you are enjoying some nice weather wherever you are. 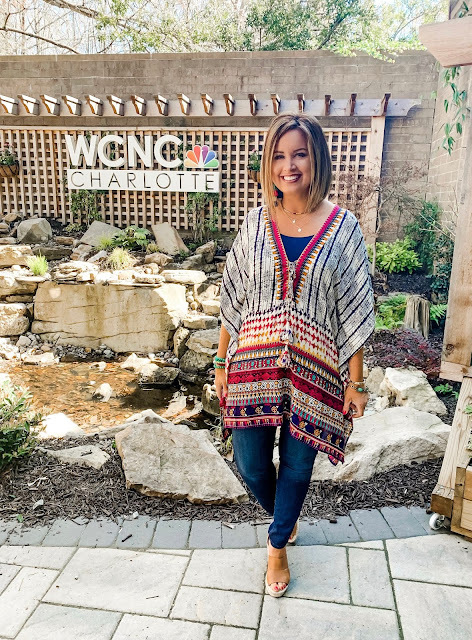 Speaking of spring, on my most recent segment on the Charlotte Today show, I shared looks that are perfect to wear if you are headed somewhere warm for Spring Break. If you are new around here, I am an occasional fashion contributor on the Charlotte Today show which is a local TV show on NBC that airs every weekday. I really enjoy going on the show and am so thankful that they keep asking me back! I recruited 4 friends to be models for the segment who are all blogger babes here in Charlotte. Josephine from The Style Hostess (Instagram & Blog), Tish from According to Tish (Instagram & Blog), Lauren from Lauren Schwaiger (Instagram & Blog) & Andrea from Dre Dream (Instagram & Blog). I have linked their Instagrams and blogs so you can give them a follow! I partnered with a local boutique, CRIV, to provide clothes for me and the models. They have a great selection of clothes and accessories and I love that they have pieces that you won't find anywhere else. 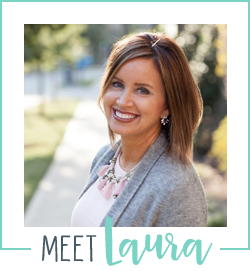 Criv is located at The Metropolitan near Uptown Charlotte and they also have a great online store for those of you who are not local, which you can visit HERE. I shared looks on the show that incorporate some of the top fashion trends for spring. There are a few trends that we are seeing in all the stores right now such as colorful prints, wide leg pants and white denim. I wore a colorful print on a tunic with jeans, and the tunic could also be worn as a beach cover up. We also see bold prints on the models in some wide leg pants as well as a sweater. This just shows you that there are many ways you can wear a trend, so have fun and try out some of these trends! You can also switch out a top or layer a denim jacket to make these trends work even if it the temps are still cooler where you are. I have linked all of the items below that are currently available on Criv's website. If there is something you are interested in that is not linked, you can contact Criv to see if it is available in their store. I hope you all enjoy these TV segment recaps. Thanks so much for reading Smart Southern Style! Stay tuned for another blog post and another segment on Charlotte Today soon!